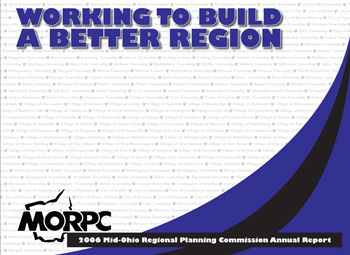 This is the 2006 Annual Report that I designed for MORPC. I came up with the initial concept, laid out the pages, retouched and edited the photos, built the graphs and charts, and organized the articles. This entry was posted in Page Layout and tagged Annual Report, MORPC on March 1, 2007 by EdWedig.